Hey everyone! Let’s start today with a fact about me; I love YA contemporary novels about teen romance and I am not in the least ashamed of it. However, there are certain aspects commonly found in such novels that, if overdone, threaten to put me off an author completely. For example, the romances in these books can sometimes be almost comically cheesy and unrealistic, I mean two kids who have hated each other their whole life with one bullying the other incessantly suddenly fall in love literally overnight? Come on. It is fair to say that because of such cringe-inducing scenarios found in these novels that that YA contemporary romance genre sometimes seems to have a bad reputation. I say to hell with this bad rep, there are so many gems in this genre that people may never pick up because of the stereotype or a cheesy cover but you should, you definitely should. 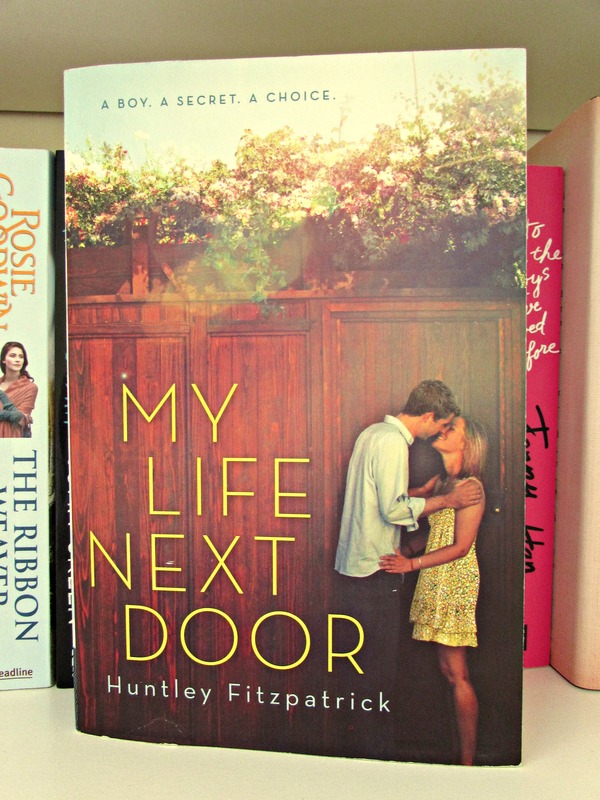 If I had to recommend authors to start you out in this genre I would say go for authors like Jenny Han or Rainbow Rowell or, after reading this joy of a book; Huntley Fitzpatrick. You will not be disappointed. So, after that little ramble let’s talk about the book. First things first; this cover is gorgeous and so is the story inside. Our two main characters are Samantha Reed and Jase Garrett. Samantha is the daughter of the local senator and her mother rules her with an iron fist in their perfect, immaculate house. Jase, on the other hand, comes from a large family who struggle a little with money but are free to be whoever they want to be, and they live right next door. I adored the characters in this book, each and every one of them had distinguishable personalities that were fully developed without it seeming like too much of the story was spent describing them, they all had flaws and passions which made them relatable and exciting. This is a summery, romance novel but it also has a depth and meaningfulness that some YA novels lack which made it a very refreshing read. Most of the depth comes from one specific point in the plot which, I thought, was handled excellently and was written very realistically which was another aspect of this novel that I really enjoyed. Huntley Fitzpatrick’s portrayal of all of the relationships in this novel, not only the main one between Jase and Samantha, were spot on and I loved that many different types of real-life relationships were written about. For example, there are the relationships between Jase and his siblings which are all different and interesting depending on all of their personalities. Within the book there’s also the topic of addiction as a kind of subplot which, again, made this different from other similar novels that I have read. I thoroughly enjoyed the writing style that Huntley Fitzpatrick has, it is warm and compelling as well as relatable and funny which is everything that you need to pull off a YA novel. The reason that I am only giving this book 4.5/5 as a rating is simply because it ended too soon for me, I felt that there could have been a little more resolution to tie it all up nicely but that’s just my opinion. I think it’s fair to say that I LOVED this book, I’d even go as far as to say that I will probably re-read this next summer and many summers after that. I am so excited to have discovered another author that I love and I can’t wait to read everything else that she has written and everything that is still to come!